The Constitution of the Longwood Village Group was adopted at its first Annual General Meeting on the 15th May 2000. The charity was registered with the Charity Commission (Registered charity number 1087328) and the following people were elected to serve as charity trustees. 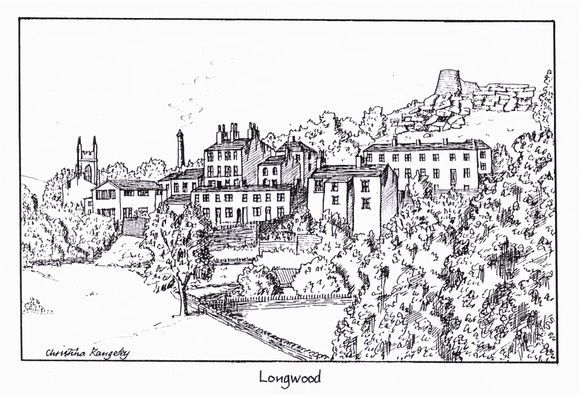 The main objectives of the Longwood Village Group are to advance education and provide facilities in the interests of social welfare for recreation and leisure time occupation so as to improve the conditions of life for the inhabitants of Longwood and the Neighbourhood. Another Charity in existence at the time, called The Longwood Community Association, held The Longwood Mechanics Hall in Trust for the people of Longwood and was attempting to secure grant money to refurbish and reinstate the building as a community centre for the people of Longwood. After several attempts to secure grants failed the Longwood Community Association went in to decline and eventually after an extraordinary General Meeting on the 31st August 2007 the charity was dissolved and the four remaining trustees handed over the keys to The Mechanics Hall to the Trustees of Longwood Village Group who took over the task of trying to raise funds for its refurbishment. Shortly after, Derek and Alison Fairbank were appointed as Voluntary Hall Managers and took on the task of applying for grants and seeking assistance from various sources in an effort to secure the future of the hall as a thriving community centre. Refurbishment of the toilet facilities with the inclusion of a wheel chair accessible toilet and the provision on water heating systems so that hot water is available in all the toilets. Opening out of the school room and installation of a quality dance floor and floor to ceiling mirrors. Refurbishment and redecoration of the art room with replacement of the windows with double glazed units. Refurbishment of the stage and the installation of new stage lighting. The installation of a lift from the hall down to the lower level. Complete stripping out of the "kitchen" down stairs, rebuilding of the floor, recladding of the walls and the fitting out of the room with modern kitchen appliances, re-glazing of all the windows with double glazed units. Installation of a central heating system throughout the hall run from a combi boiler that also provides instant hot water to the sinks in the hall and the downstairs kitchen. Refurbishment of one of the downstairs rooms so as to provide a store room. Opening up of the arches of the hall windows and replacement of all the glazing with modern double glazed units. There have also been numerous successes in obtaining funding to provide equipment for the hall such as Table Tennis Tables, Pool Table, Wii games console, projector and screen, air hockey game, indoor bowling mat and bowling balls, indoor curling equipment, numerous board games such as scrabble, rumikub, dominoes and triominoes. More recently the Hall has been repainted, a new CCTV security system and fire alarm system has been installed with smoke detectors in all rooms and the old boiler has been replaced with a new more powerful but more energy efficient boiler. The Hall is currently in use approximately 80% to 85% of the available opening time but is available for hire for "one off" events such as birthday parties, anniversaries, retirement parties and even wedding breakfasts and funeral teas. If you would like further details with regard to hiring the hall and any of its facilities just get in touch.